So, the first question is, are you looking for a much better way to grow and manage your business? If the answer is yes, then choosing the correct Customer Relationship Management (CRM) software is the way forward. Whether you and your business are looking for a simple CRM software solution – perhaps a free version or one which is tailored towards small businesses or a robust CRM for high flying businesses – DON’T PANIC – there will be a CRM software choice that will fit your needs. Not many people understand why they need an efficient CRM, let alone how to choose the correct one. Who really has the time to trawl through and test all the various CRM’s, I mean, most people have far more important things to do… such as work!! Well, I had already thought of that, so decided to do all the hard work for you (I’m nice like that!!). To help you find the correct CRM software for you and your business, I researched and analyzed the top 12 CRM software’s out there in the market today. So, without further ado, grab a cuppa, settle down and get ready to read my round-up review of the best CRM software, which outlines everything you need to know to make the best choice. If you’re familiar with CRM software, then click here to skip straight to our reviews (insert button). 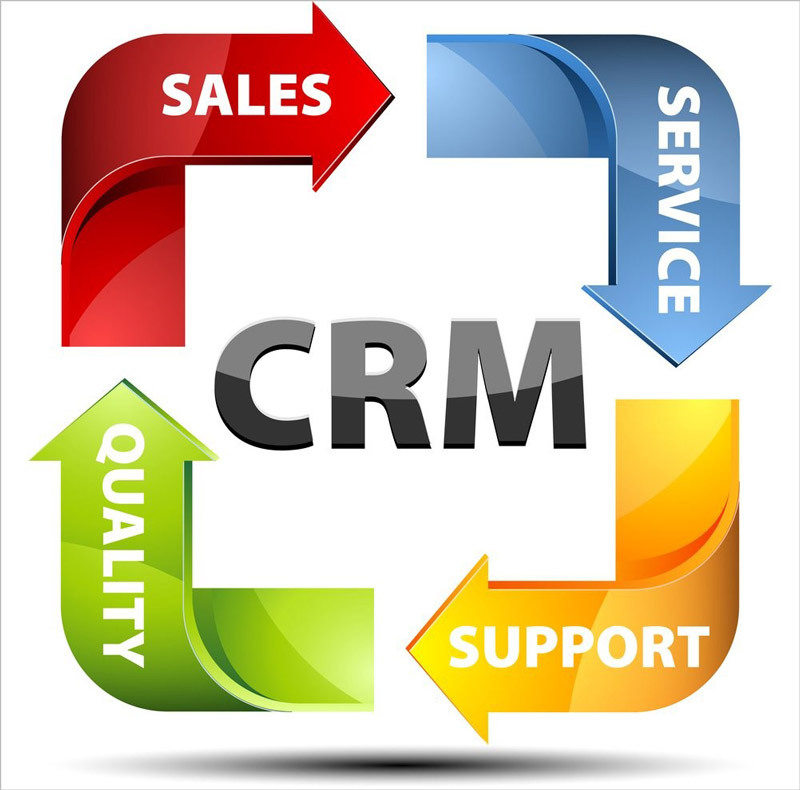 There are various reasons why organizations use CRM solutions. In the beginning, the CRM industry primarily focused on PR people and sales while offering a way for customer information to be stored and to keep track of communication with these customers. Fast forward to today, and CRM solutions stretch across wide areas of business which include marketing, analytics, customer relationship management and even some lightweight project management. There are even some CRM systems which have chatbot’s built in as well as call capabilities, which allow reps to communicate with clients directly within the system. CRM software has become so affordable, that even the smallest business is able to invest, which is largely down to the proliferation of SaaS solutions which are affordable as well as deliver shed loads of functionality without the hassle of a major software implementation project. Of course, how you effectively manage your customer relationships is something that is personal to each business. There are lots of factors to consider when reaching out to new customers and retaining their information including how the business is marketed, operated and even which salespeople are employed. 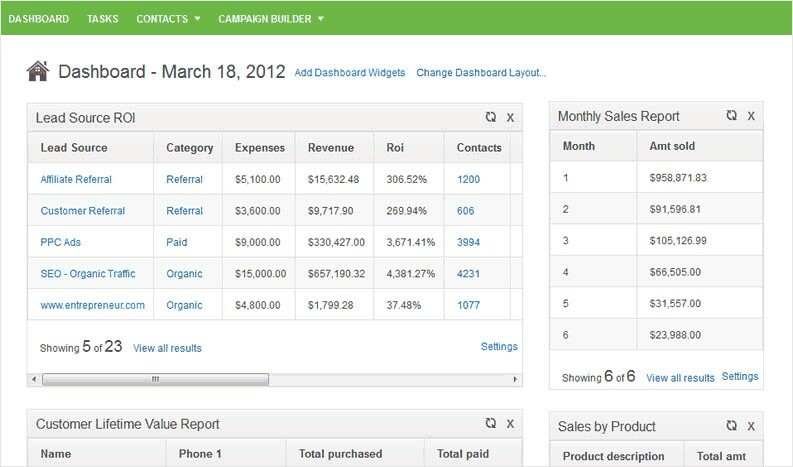 Now, most small to mid-sized businesses choice of tool to achieve this is by using the spreadsheet. However, what happens is the organization quickly grows beyond this once they realize how valuable each customer interaction is together with how many ways this can be achieved. In this day and age, you can interact with customers in more ways than ever before via new advertising avenues, ever growing lists of social media channels and a whole host of digital marketing strategies. But how can you manage these interactions? Well, that’s where an efficient CRM comes into play. Not only are CRM’s far easier to use than a spreadsheet, the added bonuses are that it is able to remember all customer contact information, every interaction whether via email, phone or social media. CRM software isn’t solely about maintaining and tracking contact information, although many look upon it at as mainly being a sales tool, it has most definitely moved well beyond that. Selecting the correct CRM software for you and your business can improve your team’s productivity and collaboration tenfold as well as heighten customer satisfaction. Customer and marketing service departments can really improve their operations by using the data from the CRM to record and reuse their customer’s incident information as well as effectively segment the demographics. Finally, CRM software helps to coordinate interdepartmental actions and can help measure and set goals, track and deliver email marketing campaigns and basically keep a beady eye on what people are saying about you and your business on social media. As promised, to help YOU to make the right decision, I’ll be taking an in-depth look at the Top Best CRM Software providers, highlighting what works and what doesn’t. So, without further ado, lets dive straight in…. Infusionsoft is a marketing and sales cloud-based solution that offers many features including marketing automation, customer relationship management, and e-commerce functionalities, all from one suite that helps small businesses from various industries to deliver customer service and sales volume experience. With Ontraport you will be able to maintain astonishing customer relationships by keeping track of all online engagement, contact information, purchases and much more – all automatically!! All the information is stored in one place which means that you will always have complete and accurate insights into your business. 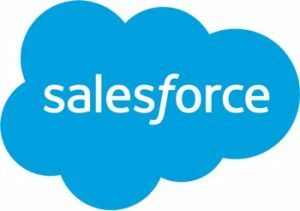 Salesforce has been around for just under 20 years and has a large chunk of the market share when looking at marketing applications, sales applications, and customer services applications. It offers businesses the functionality and power of an enterprise level CRM but in a flexible package. HubSpot is perfect for start-ups and small businesses due to the free version of the CRM software – which offers amazingly robust features. For microbusinesses or sole proprietorships, HubSpot simply provides a modern spin on overseeing customer relationship management the old-fashioned way. Pipedrive is a pipeline management web-based sales CRM solution that allows businesses to monitor their deals and plan sales. Because it is a cloud-based application, this means that it can be accessed anytime, anywhere and by using any web browser or dedicated mobile apps. Sugar CRM is a great choice for businesses that are looking for a user-friendly CRM or tech-savvy start-ups, due to it having a rich set of features and being developer focused. Microsoft Dynamics CRM is made up of a group of enterprise resource planning products which are designed for different market segments and which range from Dynamics AX which are geared towards medium/large organizations with multi-currency, language and legal entity capacity and dynamics GP for SMB’s. 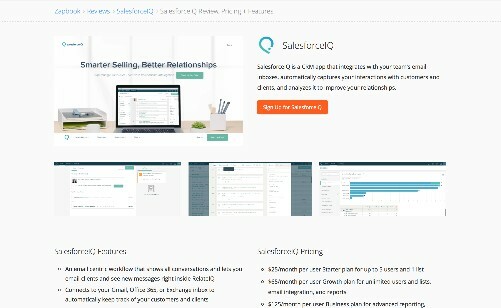 SalesforceIQ is a relationship intelligence platform which mixes together data from smartphone calls, email systems, and appointments in order to replace or augment standard database or relationship management tools. It can scan over 10,000 calendar entries, emails and other data per minute at its first run. Insightly is a CRM management solution that offers businesses the opportunity to manage communications, sales, documents, projects and to track contacts all from one platform. It is also available on mobile devices and via the web. Maximizer is an all in one CRM which is pleasantly affordable. It offers tools to help manage support ticks, sales leads, campaigns plus loads more. From best of breed integrations to rock-solid contact management, Maximizer helps businesses to achieve fab results. 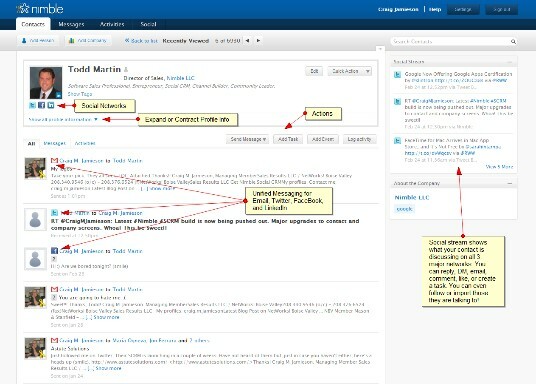 Nimble allows its users to have all their customer engagement data available at their fingertips. It gathers team calendars, contacts, emails, social interactions together with details of social profiles from absolutely everywhere and keeps it up to date. NetSuite CRM software is the only cloud solution that enables the user to have a 360-degree view of their customers – and in real time!! It also provides a continuous overview of the entire life cycle of the customer, from lead to fulfillment and upselling. CRM software provides your sales team members with the necessary organizational tools to allow them to focus their efforts more intently and to efficiently close more deals. Of course, every CRM does offer different features (even if they are ever so slightly different). There are, however, a standard set of features, that we believe all CRM software should have – these are the important things that we need to look out for when choosing the right CRM software and this is what I will be giving our star ratings to. When choosing the right CRM software, it is important not to get distracted by all the capabilities that look amazing but which you will never use. Ultimately, make sure that the software that you choose captures the information that is essential for the effective running of your business and that allows for an effective follow-up and more importantly that is easy for your team to work with rather than around. I know… it’s tempting just to ‘wing’ it and to simply pay for one of the larger, all-inclusive CRM packages, just so you know that you have access to every feature ‘just in case’ you may need it in the future. But, I’m pretty sure that by using this method, you will end up paying more both in time and money, and the end result will no doubt not be as flexible as expected. The reason for this is because the large CRM software packages are generally platforms rather than tools, which means that the myriad features that are advertised are really the result of integration with third-party solution providers. 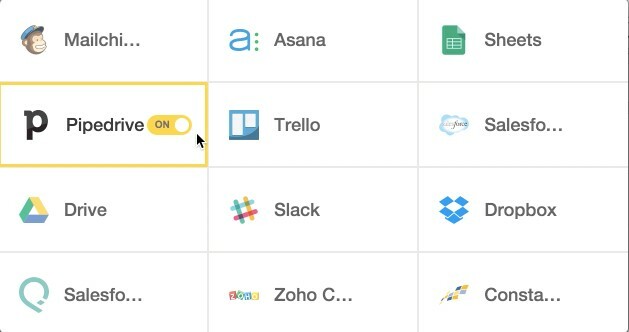 If you want to automate your business processes have every tool you’ll ever need to automate your marketing and grow your business, Infusionsoft is for you. Nice one Infusionsoft 4 stars. Features include updates, effective pop-up application, FREE landing pages, and an attractive email builder to name just a few. Excellent stuff Ontraport, 4 stars. Salesforce has lots of features including a mobile app for iOS and Android devices which feature real-time data from custom reports and dashboards, as well as a Feed First feature that allows you to immediately view the most important information based on your settings. 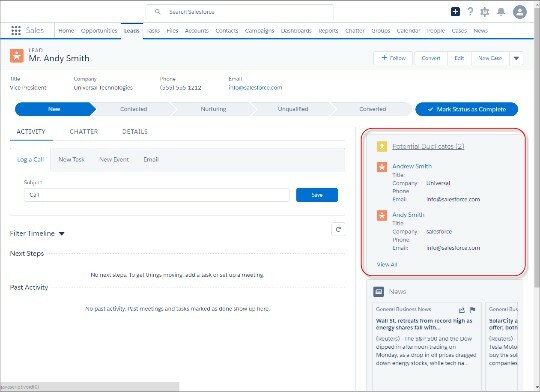 Salesforce Sales Cloud also gives you the capability to receive insights from a mixture of real-time data. It also has the ability to create sales forecasts, critical reports and territory models. Good little mix Salesforce, 3 stars. HubSpot includes a powerful yet simple range of features which include lead tracking, powerful contact management, and pipeline management. Although it may not have a huge library of features, they more than make up for this by their power, quality, and simplicity. Good work HubSpot, 3 stars. Pipedrive offers a shed load of features that should be more than enough to satisfy the needs of any business and does a fine job of gathering and organizing data, however, it cannot separate its leads from its contacts which was rather disappointing. Could do better Pipedrive!! 3 stars. Sugar CRM is a software as a service (SaaS) product and is crammed full of features such as marketing tools, contact and lead management, call center, reporting and analytics, approvals, workflows and loads more. Impressive Sugar, 4 stars. Microsoft Dynamics CRM Online features an attractive interface together with superb reporting tools and loads of automation features. It also boasts automation and built-in marketing tools. Good try Microsoft Dynamics, 3 stars. 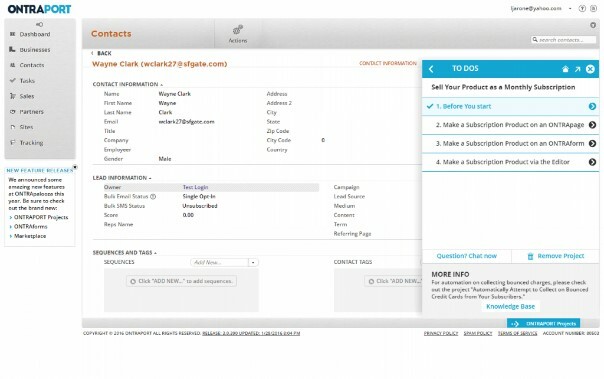 SalesforceIQ offers several key features which include a customer interaction database and sales automation. Not as packed as it could be SalesforceIQ, 2 stars. 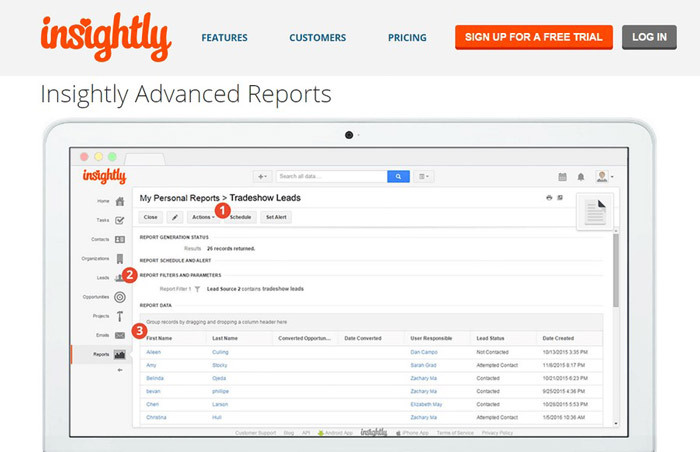 Insightly has a varied range of features which are focused around task management and tracking. Bit limited Insightly, which is why I’m giving you 2 stars. Maximizer included loads of features which are geared around helping to manage support tickets, campaigns and sale leads plus loads more. Not as packed as other CRM software providers, so its 2 stars. Nimble offers pipeline management and contact features including task management, deal tracking, and alerts. It also boasts integrated social listening to ensure that customers profiles are always kept updated. Not too shabby Nimble, 3 stars. NetSuite provides a whole host of features that will ensure that you have a complete overview of your customers. Some of these features include front and back office processes like revenue and financial management, billing, inventory and order management and fixed assets. Nice mix NetSuite, 3 stars. Lots of CRM solutions do have marketing tools pre-built in, which include email marketing pipelines, SMS messaging, email templates and lightweight tools for project management. Others even offer sales forecasting capabilities and competition tracking. 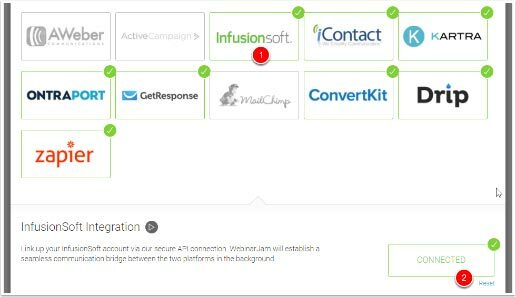 Infusionsoft users are able to segment their contacts, track customer interactions, send emails and run campaigns setting triggers for more personalized communications based on email clicks, opens and much more. They can also set reminders, track sales team activity, trigger automated emails as well as view forecast and reports. Not too shabby, 3 stars. Ontraport is basically the automated engine that sits behind your marketing campaigns which smoothly integrates your emails, e-commerce, landing pages and more together with your CRM so users can hyper-target their leads and then convert them into customers. Very smooth, 4 stars. Salesforces Marketing Cloud is a CRM platform which incorporates integrated solutions for easy customer journey management, mobile, email, web personalization, social media, content creation and management, data analysis and advertising. Predictive analytics are also included in the software which makes decisions like, for example, what would be the best channel for a given message. Bit of a mixed bag Salesforce, 3 stars. HubSpot’s marketing automation goes beyond traditional email marketing pieces. It gives users the capability to seamlessly integrate all areas of your customer, then prospect profiles into a workflow which then segments, recognizes and nurtures the marketing data points that are in the specific campaign. Contacts can easily be slotted into the correct place within the marketing funnels and can track customers, score leads, auto-send emails and personalize content. Sounds perfect HubSpot, 4 stars. By using ActiveDEMAND’s Pipedrive Marketing Automation, users will be able to execute effective marketing campaigns that build brand awareness but also generate leads that then turn into Pipedrive opportunities. ActiveDEMAND allows access to landing pages, email and drip campaigns, web forms, autoresponders, templates, survey’s call tracking plus much more. Brilliant Pipedrive, 4 stars. Sugar CRM goes beyond the traditional marketing systems and cuts through the noise to deliver content that is personalized to prospects which then allow marketers to only yield leads of high quality. Marketers gain insightful content from each customer interaction, then can use this content to drive relevant and timely campaigns. Sounds like a plan Sugar, 3 stars. Microsoft Dynamics CRM functions as a closed loop marketing system, which gives users the capability to both collects and analyzes marketing communication results to better refine messaging. It allows its users to track, build, manage and report on marketing efforts – all within the software. Targeted marketing campaigns for specific customer types can be created together with campaign automation, landing pages, website tracking, digital marketing consulting and email marketing. Wow, quite a lot there Microsoft Dynamics, 4 stars. 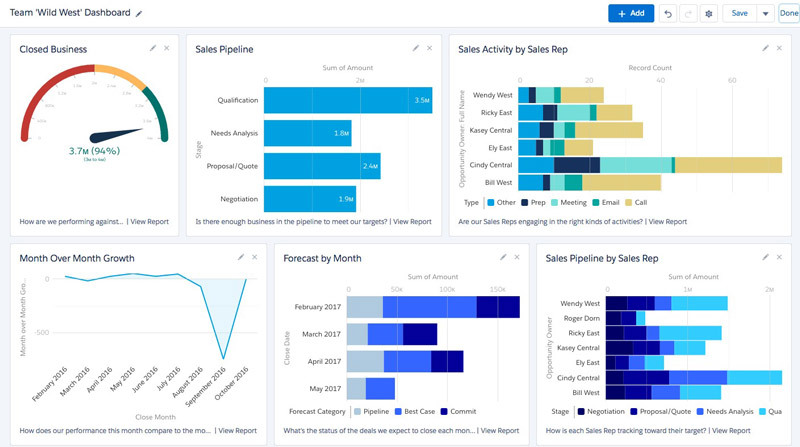 SalesforceIQ CRM does include a set of pre-built reports and analytics views which users can use to analyze sales progress and account health, in order to help them prioritize their opportunities. Simply by glancing, users will see how the sales performance matches against the sales forecasts so that any stagnant opportunities can be easily identified, plus information can be sorted and filtered across contacts, opportunities, and accounts. All rather tidy, 3 stars. Insightly works with SimplyCast to provide users with powerful multi-channel marketing combined with Insightly’s convenient CRM tools. Important information is updated automatically ensuring that users are never out of the loop. This combination enables users to send out bespoke marketing campaigns to all of their unique customers. Not bad at all, 3 stars. Maximizer’s built-in marketing tools mean that users can effectively and easily budget, plan, analyze, execute and optimize all marketing aspects to ensure that the marketing budget is spent wisely, it also directs resources to initiatives to generate proven returns. Users can target their customers and leads with segmented campaigns to optimize sales funnels and boost revenue. To ensure that campaigns are as effective as possible, users can filter and search customer data via specific criteria. Very nice Maximizer, 3 stars. Nimble provides small to medium-sized businesses with a single solution that helps them to discover, engage and listen with individuals that are relevant to their business as well as build relationships that could lead to opportunities. Nimble identifies valuable prospects within a user’s network and guide the interaction with them. The application draws together contact profiles, calendars, email conversations, collaborations, communications and social signals then displays them on an easy-view platform. Integrated social listening is also included with Nimble which keeps customers profiles updated and enables businesses to monitor which contacts are following, mentioning or engaging with them. Very impressive Nimble, 4 stars. Netsuite CRM includes marketing automation software which allows users to create and execute effective campaigns in order to drive leads.It automates the entire marketing process and allows users to better align programs and campaigns with their sales teams. Not bad, but could offer more, 3 stars. This allows users to locate new customers by automatically generating leads via sources such as website visitors, social media, newsletter sign-ups, inbound calls and more. Leads can automatically be followed up using tasks, pre-set emails or even by direct contact. A quality CRM can nurture prospects through their sales pipeline journey, from the beginning (lead generation) to the end (the closure of the sale). Also, there are several CRM’s which give users the capability to store and create sales quotes as well as track invoices. Infusionsoft allows users to track activity inside of their digital storefront, giving them the capability to create, store and send invoices, quotes, and receipts, plus they offer lead scoring and management which is easy to use and efficient. 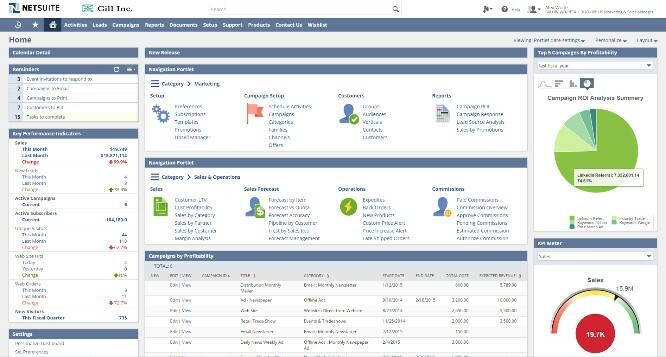 Infusionsoft’s native integration with its CRM and e-commerce platform allows users to track contacts directly from the initial stages of the browsing cycle (via e-commerce), right through into the registration process by use of the email tool, then into upsells and cross-sells via the CRM. The contact and lead management capabilities are much more basic than those within a platform such as Salesforce but are perfect for inexperienced users. Entire sales pipelines can be managed and leads qualified automatically – all for a price though. Not bad at all, 4 stars. Ontraport includes lots of campaigns and one of their simpler ones is a flow for “newsletter signup, confirmation, and delivery.” This covers initial newsletter signups, together with manual list additions, plus an ongoing workflow for sending out each newsletter. This template also incorporates configurable goal tracking, which helps move customers along the pipeline once they’ve performed any one of a comprehensive list of actions, like clicking a link in an email, sending an SMS message or visiting a landing page. Very good Ontraport, 3 stars. By using the lead management solutions that are on offer in Salesforces Sales Cloud, businesses can track their marketing campaigns across a variety of channels to see which are making the most impact, allowing them to then assign the correct leads to the right people. By scoring and tracking your leads using Salesforces software, you can be sure that your business will get the most from its resources, have higher leads to opportunities ratios and ultimately win more deals. The lead management solution sounds really useful, 3 stars. HubSpot tools for lead management are easy to use and multi-faceted. There are several advantages to looking at lots of different pieces of information in context – all from one platform. By using HubSpot’s Timeline, your work team will be able to score, segment, AND manage leads with ease. That’s not all, it is easy to tailor forms and contact-specific messaging, and this is available in the straightforward drag and drop interface. By integrating email, social media and content, you can be sure of a complete overview of customers and prospects, which in turn will make marketing more effective. Sounds good HubSpot, 4 stars. Pipedrive includes a marketing automation package that allows the user complete control over their automation. Email campaigns can be switched, based on custom field changes, deal stage changes or even by how long a deal has remained in one stage! Sales automation is made possible by ActiveDEMAND and provides unparalleled data integration. What pipeline and lead management does is allows users to keep up to date on their client’s stages of interaction and levels of transaction. Nice package Pipedrive, 4 stars. With Sugar CRM users can quickly identify their hottest leads, with segment leads being based on channel, industry, geography, lead source and attributes. Sugar CRM automatically captures leads via multiple channels and then quickly converts them into opportunities. Seems to be lacking in tracking invoices and storing quotes. 2 stars Sugar. Microsoft Dynamics CRM offers lead management, account activity, reporting and pipeline management. There are built-in Microsoft Dynamics processes that can use to optimize their sales team eliminating the guesswork out of what to do next. Could offer more, 3 stars. 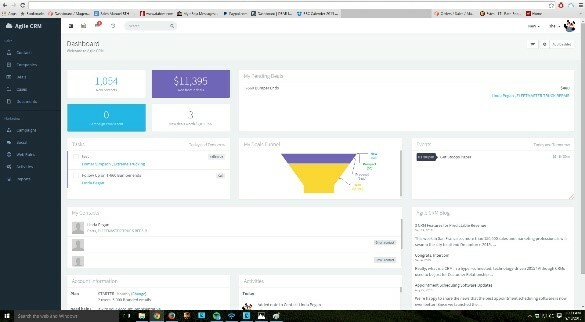 SalesforceIQ enables users to track all the correct information about their CRM leads. The timeline is rich in activity and allows users to see and access up-to-date contact information while at the same time understanding the best practices and relevant documents by using Sales Path. Users can see where a marketing campaign lead originated, read the relevant insights as well as track and write emails from the CRM solution. Excellent SalesforceIQ, 4 stars. Insightly helps with lead generation, and once a lead is qualified, it will then be converted. Insightly creates sales opportunities, contacts and organizations, which to keep things organized are linked together. Opportunity reports offer details like pipeline and pipeline stages, the responsible users, the close date and the probability of winning together with the value. Good variety Insightly, 3 stars. Maximizer features fast Excel quoting. Users can build standardized quote templates, as well as populate them with customer, company and product details. The quoted values can then be synced with the opportunity’s module for decisive forecasts. Other Maximizer features include lead tracking and sales processes, campaign management, mobile CRM and Calendar and diary. Good try Maximizer, 3 stars. Nimble enables users to keep track of their contacts by automatically importing contacts from other integrated apps and social media sites. It retains contact history and status and includes features such as deal trackers. The software an remind users when a lead needs to be followed up and over what time period. Contact views allow users to see communication history including channel and social media updates plus they can communicate directly from the page via any email or social media address. Very nimble, Nimble, 3 stars. NetSuite’s marketing automation software allows users to generate highly qualified leads ready for sales engagement. It provides a framework to build, target, measure and execute the success of marketing campaigns—and removes the complexity out of lead conversion and qualification. NetSuite’s marketing automation solution allows users to track and measure a prospect’s activity, and to identify when a lead meets the known buyer-readiness conditions, and as soon as the pre-defined criteria is met it passes that leads to sales. Very thorough NetSuite CRM, 4 stars. Many high-level CRM software has e-commerce functionality built in, while other products allow for smooth e-commerce integration by either using a third-party service or accessing the API. Infusionsoft gives users the capability to manage their e-commerce, from payments to inventory management, purchase fulfillment and setting up online shopping carts. Very smart, 4 stars. Ontraport offers a large range of extremely impressive e-commerce features which include automatic credit card payment collections together with the ability to add cross-sells, upsells, cart abandonment AND credit card expiration notification automation. Really neat Ontraport, 4 stars. Salesforce transforms communities into inclusive places to conduct business. You can use it to create new ways for customers to research, discover and buy products — all within one branded, mobile, and social environment. Lacking slightly, 3 stars Salesforce. With HubSpot, users can convert traffic into sales by using their range of e-commerce tools such as optimized product pages, customized emails, and landing pages for ads. By using the buyer’s website behavior and purchasing habits, marketing can be personalized to reflect this. HubSpot’s e-commerce does provide direct attribution reporting between digital money spend and marketing efforts. I like the sound of this, 4 stars. Pipedrive includes lots of third-party Integrations that allow users to seamlessly integrate with other apps they use including e-commerce, marketing automation, social media, file management and landing site builder programs. Not bad Pipedrive, 3 stars. By integrating eCommerce with SugarCRM, software users can enable their customer service and sales teams to better serve their clients and build valuable customer relationships. Bit of a grey area Sugar, 2 stars. Microsoft Dynamics is made up of a series of smart solutions for sales, finance, customer service, marketing and much more. The e-commerce CRM software can be installed on Windows computers and supports deployment to SaaS, cloud, and web and the Microsoft Dynamics suite allows users to add extra apps as per the needs of their business. Apps are available for marketing, collaboration, human resource and more. Nicely done, 4 stars. SalesforceIQ does require third-party integrations and plug-ins for e-commerce use such as WooCommerce. Not much to say here, 3 stars. 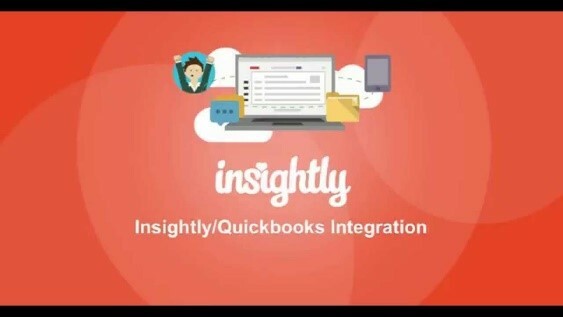 Insightly requires third-party applications for e-commerce, it does, however, integrate nicely with the tools that a user is already using, like Google Apps, Boomerang, Microsoft Outlook, Box, Zapier and Xero to name but a few. Not quite enough, 2 stars. Maximizer CRM is one of the best solutions for small to medium-sized e-commerce companies that want to reach out to their customers in the most effective way. It provides an all-in-one e-commerce tool which includes all of the necessary modules for marketing, sales and customer support. Maximizer can be deployed in the cloud or on the user’s own server and can be accessed from both Android and iOS devices. Perfect Maximizer, 4 stars. NimbleCommerce offers powerful solutions for promotions and gift cards and allows businesses to consolidate their daily deal sites and product stores onto one single platform. The platform includes an advanced set of features the support and integration services from NimbleCommerce are superb. Well done Nimble, 4 stars. NetSuite SuiteCommerce was created with the idea that e-commerce is not simply a stand-alone channel but a core business component. SuiteCommerce allows businesses to move from siloed online, phone and in-store shopping channels to an integrated commerce solution that perfectly connects e-commerce and in-store POS to order management, merchandising, inventory, financials, marketing and customer service. Perfectamundo NetSuite, 4 stars. An important aspect of any CRM worth its salt is project management. High-quality CRM’s already have these built-in together with checkmark style approvals to improve organization and task management. However, how customizable these project management tools are does vary between each product. So, remember, if you need a particular approval process or workflow then ensure that it can be achieved with your product of choice. By integrating with Workato, users can have the option of over 2000 Infusionsoft integrations recipes which are built by experts and means that automating can begin in minutes. Automated workflows can also be created with no coding. A few options available, not bad 3 stars. Ontraport enables it’s to create custom objects which is only normally available in enterprise systems like SalesForce, Eloqua, and Marketo. These custom objects allow you to build relationships between several databases that are unique to your organization. Nicely done, 4 stars. Salesforce does have lightweight project management built into its CRM solution which is primarily in the form of task assignments, workflows, permission levels, and approvals. If a more advanced project management is required or there is already a popular one in use, then by using the AppExchange it can be integrated seamlessly with the Salesforce CRM. Currently, there are 112 different types of project management tools (both free and paid) that are compatible with Salesforce. For businesses that use proprietary software or legacy systems and are looking to integrate them with Salesforce, then this can be done either in-house (by themselves), or they can take advantage of the comprehensive team of customization and implementation support staff. This SaaS solution far exceeds the functionality of standard CRM software by delivering workflow tools, project management, content management together with a whole heap of third-party integrations. Excellent stuff Salesforce, 4 stars. HubSpot’s new Workflows tool is designed to help with scale and segmentation. It makes nurturing leads, managing your pipelines, and automating marketing a breeze. Workflows work in tandem with HubSpot’s list segmentation tool, which makes building hyper-specific segments of leads straightforward which you can then target with customized marketing campaigns. Perfect, 4 stars. Pipedrive was built to streamline and simplify complex workflows. The CRM software ensures that everyone on a user’s team is on the same page and molds their CRM workflow into an unstoppable sales engine. Think a bit more could be included, 3 stars. 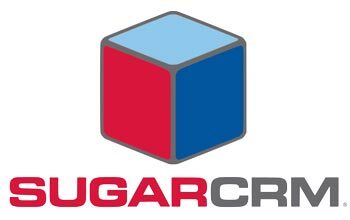 Sugar’s Advanced Workflow allows Sugar Enterprise and Ultimate edition customers the capability to automate complex business processes by using a process automation engine which is based on BPMN standards. Automated processes provide the customers with increased productivity, reuse of best practices together with the ability to effectively manage the customer experience. The Workflows allow users to automate repetitive tasks to increase efficiency and to ensure that business processes are followed. With each workflow that is set up in Sugar, users can outline a set of conditions which must be met, which will then trigger a combination of alerts and actions once the conditions have been satisfied. Very impressive Sugar, 4 stars. 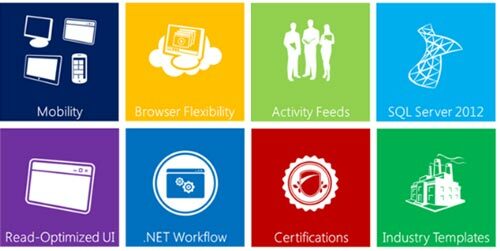 Workflow can be easily managed by using Microsoft Flow and recently they released a suite of new features to streamline approval processes. Users can now set up automated workflows to process requests for overtime, holidays or travel plans or for documents like contracts, budgets, blog posts, or specifications. Covers some of the features, but not all, 3 stars. 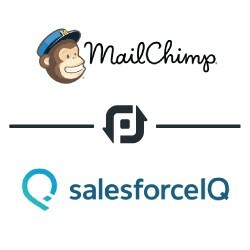 SalesforceIQ basically manages workflows via email. At its core, it is basically an extension of an email inbox: it links up automatically with users Outlook or Gmail accounts and helps manage a business in an email tied way. Not really what I was looking for, 2 stars. 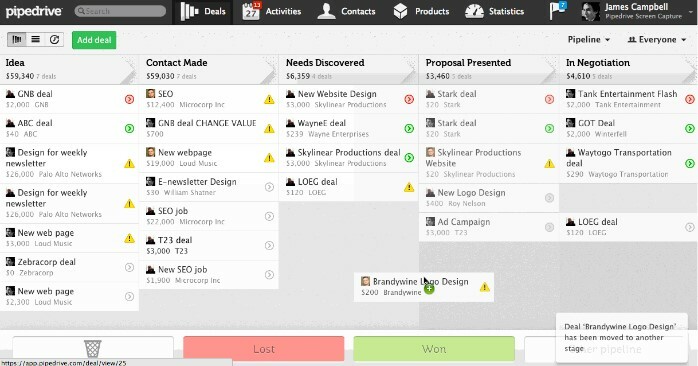 Insightly offers integrated project management functionality. When a deal has been closed, users can then track and manage the follow-up project commitments right from within the CRM. 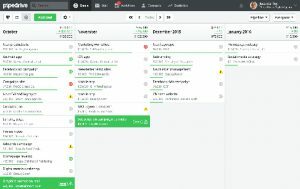 The Insightly Sidebar saves emails direct from Gmail, and allows users access to conversation history and allows them to link correspondence to events and projects. Quite cool Insightly, 4 stars. Maximizer Enterprise Workflow Automation is powered by KnowledgeSync and monitors the user’s business systems then automatically remind the appropriate people to take action. This saves time and ensures that no lead or customer slips through the net. Ticks the right boxes Maximizer, 4 stars. Nimble provides graphical and periodic email reports to assist with workflows. Really need a bit more Nimble, 2 stars. NetSuite includes the workflow engine, which is often referred to as SuiteFlow. Workflows bring a user’s specific business processes right into the NetSuite system. With NetSuite users can build custom business processes bespoke to their company’s needs – all from inside their NetSuite account. Workflows allow for point and click graphical interfaces, plus no suite script is required; meaning any staff member could help to create this process within a user’s system. NetSuite’s also has a project management solution which allows project managers and team members to work together on projects and to maintain accurate and up to date project status at all times. Top marks NetSuite, 5 stars. Many low-cost CRM products don’t have call center capabilities but do offer third-party integrations which are able to link CRM software with call center software. If, however, a call center is imperative to your business, then I would suggest looking for a CRM that incorporates complete call center features. Users can enhance Infusionsoft’s powerful marketing automation and lead management platform by using 3CLogic’s complete cloud-based contact center solution. By integrating their advanced CRM with the full suite of multichannel communications and business intelligence, users can optimize their workforce, drive sales, as well as provide customers with exactly what they need – when they need it. Not bad at all, 4 stars. Chatter is a Twitter-like employee social network and is built into Salesforce and can help users call center agents to collaborate more effectively. Team members can ask questions and respond to queries quickly and easily meaning that customers problems are dealt with faster and more efficiently. Good show Salesforce, 4 stars. 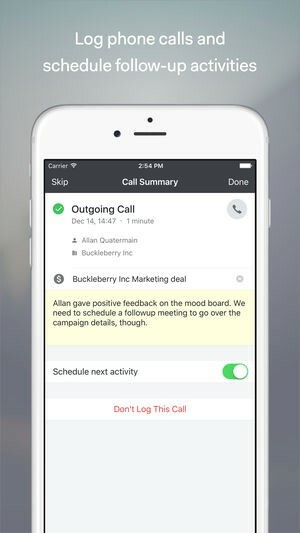 HubSpot’s-Aircall integration allows users to manage calls directly in HubSpot. Customer interactions can be personalized, and when clients are called directly from HubSpot, all of their contact details will be displayed. Pity, it wasn’t built in, 3 stars. Pipedrive’s CTI allows users to have all their call activity in one place. By integrating with Aircall, Pipedrive users can call their prospects and synchronize their caller history. Screen-pop capabilities ensure that users know who is calling and they can simply click-to-dial if they wish to direct a prospect from Pipedrive. Again, not built-in, but not too shabby, 3 stars. 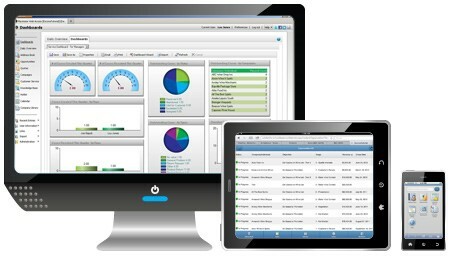 Sugar CRM can be integrated with 3CLogic’s Computer Telephony Integration, which is one of the most robust solutions on the market. It offers outbound click-to-call, auto-diallers (preview, power, predictive, progressive), as well as screen-pop of customer records. The solution also automatically contacts prospects from their own local area code!! Good stuff Sugar, 4 stars. Ignify can be integrated with Microsoft Dynamics to provide the ability for contact and call centers. Does the job, 3 stars. Insightly requires the use of a third-party integration such as Kixie or Tenfold for call center capability. None built-in, 2 stars. Maximizer CRM provides an integrated platform for users and their staff to access and update information efficiently to resolve issues. For call center capability an integration would be necessary. A platform is a good idea, but integration required 3 stars. Users can extend the core functionality of NetSuite with Contivio’s omnichannel cloud contact center software. 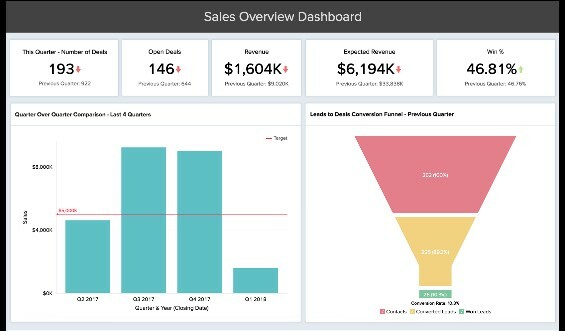 By using the top-rated Suiteapp.com NetSuite integration, Contivio drives customer service and sales efficiency by directing customers to the most qualified reps, automatically storing all dispositions, notes, and recordings automatically in NetSuite and screen popping relevant customer information. Contivio automates all agent’s workflows, saving them time. Not bad NetSuite, 4 stars. Social Media is a great way for small businesses to be able to connect with their customers, BUT it can also present one big headache. Good CRM’s will monitor the social media universe, which means that if customers begin tweeting negative feedback regarding a product, then the complaint can be swiftly directed to the correct person within the business that can actually do something about it. On the flip side, social media tools also assist companies in amplifying and identifying praise, together with any rich content that could be provided from blog posts and articles. I can’t emphasize enough the importance of finding a CRM that helps a company to improve its contents and conversions. Unfortunately, Infusionsoft doesn’t have any capabilities for social media marketing automation, meaning users are beholden to their contact’s email inbox in order to spread their messaging. Disappointing, 1 star. Ontraport offers several social media features such as engagement, campaigns, post tracking and profile data, streaming, social analytics and listening, social sharing, scheduler, video sharing and referral offers to name but a few. Good selection, 4 stars. Salesforce puts its users’ products in the right place and at the right time – increasing customer stratification and user revenue. They give users the ability to connect with customers while they are discovering AND discussing the products on Social Media, and if they are loving what they are seeing, then they can purchase with just one click. Pretty cool Salesforce, 3 stars. HubSpot does offer tracking capabilities and social media contact – albeit basic. It can also attribute leads to certain social sources, which then provide your company with an added level of business intelligence. It allows users to easily post, manage and reply to various social accounts- all from one easy-to-use customer interface and supports Facebook, Twitter, LinkedIn, and Google+. Another good show, 4 stars. Third-Party integrations allow Pipedrive users to seamlessly integrate other apps they use including social management. Could do better, 3 stars. Activity Streams (formerly called Sugar Feeds) is a flexible integration routine which directly taps into Facebook, and Twitter social networks and returns feed results within the CRM app. Sugar users can then subscribe to team activities for cases, leads, contacts, and opportunities, as well as subscribe to favorites, or reply to or delete specific Activity Streams. Originally, SugarCRM used Connector tools for integration to Facebook, Twitter, and LinkedIn, however, the Cloud Connectors are much more extensible. Very good Sugar, 4 stars. Microsoft’s integration of Yammer to Dynamics CRM delivers an impressive internal social network; however, the Yammer enterprise license isn’t included with the CRM license, which means extra costs may apply. Customers already using SharePoint Online or Office 365 may automatically have access rights to Yammer. Excellent Microsoft Dynamics, 4 stars. Social media integration with Salesforce is phenomenal. 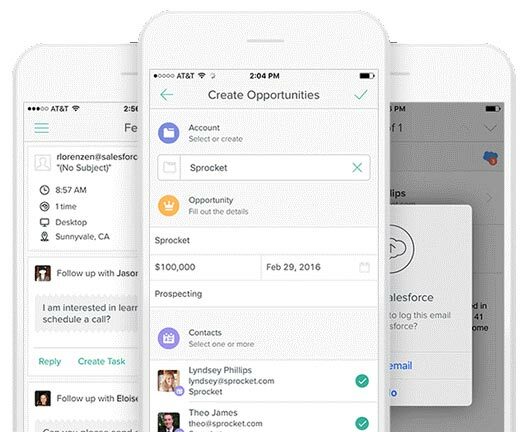 Salesforce has a huge app store with loads of AppExchange tools on offer. One such AppExchange tool is called the Salesforce for social media, which is specifically designed for Twitter and Facebook. This is a free App that is listed on the AppExchange market which can be connected effortlessly with the production or any of the developer sandboxes. Excellent, 5 stars. 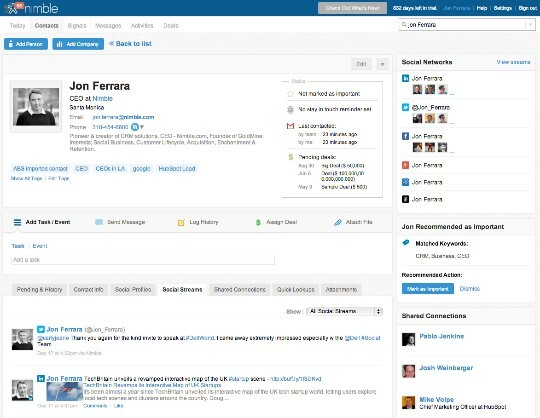 Insightly displays icons that open LinkedIn, Facebook, and Twitter pages from Insightly contacts. These icons are linked to social profiles that a user has entered or links that Insightly has discovered based on a record’s email addresses. Sounds good, 4 stars. Maximizer links out to linked in and helps users to define contacts and target clients via their profiles on social sites. Bit sparse Maximizer, 2 stars. Nimble automatically links social channels such as Twitter, Facebook, and LinkedIn to business contacts enabling users to effectively engage them from everywhere they work. Well done Nimble, 4 stars. NetSuite expands e-commerce cloud platform in order to provide search engine and social media marketing. This has resulted in a new and powerful eCommerce platform that allows merchants to leverage information which was generated by social media and search engine marketing to put towards their marketing and merchandising efforts. Bit sparse NetSuite, 3 stars. Now, the golden rule to remember is that CRM software MUST be intuitive, or you’ll never want to use it!! Aside from just being easy to use, it should also be able to manage human error. An example of this could be trying to input the wrong data, or conduct a task, using the wrong screen – now the best software will identify any errors that are made and suggest the correct way to do it, whereas CRM software that is poorly designed will either allow you to carry on with the error or display a really unhelpful error message. But how do you know if the software is easy to use? Well, one way is to train others. How long does it take, is it straightforward? If you get stuck while showing others, then take note. Consider how long it will take to get your team up and running and if it is worth the investment. Finally, another feature that I’ve included in this section is support. When (not if!!) you run into problems, what support network is available, what are the hours, are training videos available, what is included in your package? If you decided to try out the software beforehand, it’s always recommended to contact support and note down how long the response times are. Infusionsoft is easy to navigate and easy to learn as nothing is hidden away. All the e-commerce features that you will need are all in one place. The customer service is fab too, as the initiative to be available 24/7 really appeals to me. Great stuff, 4 stars. Ontraport is easy to set up, quick to learn and really simple to use. It even has its own initial training programme which is thorough and straightforward, AND it provides you with your very own dedicated Support Hero, to begin with. Superb Ontraport, 4 stars. Salesforce has a modern user interface which is intuitive enough that even non-admin users will require very little training. Navigation is easy, due to the tabs being segregated into categories, such as contacts, home, leads, campaigns, etc. Salesforce also features an online community, together with an inclusive catalog of training resources. Phone and email support are available between designated times and those who pay for the ‘Lightening’ package have 24/7 priority support. Very nice Salesforce, 4 stars. 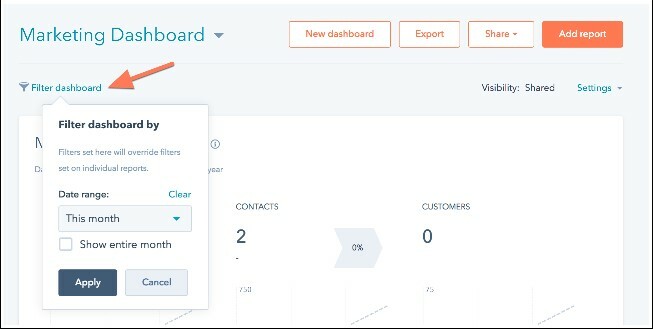 HubSpot features work non-stop to automate your whole system, guide your sales team, motivate and build lasting relationships with your customers, put simply it assists you in managing your business. It offers a thorough online knowledge base which also includes a library of tutorials which is called the HubSpot Academy. Live Chat, email and phone support are only available to those with a paid package. The support is limited to self-service options for those using the FREE package. Not bad though HubSpot, 4 stars. Pipedrive offers a really intuitive user interface which makes it a dream to use and learn. This can have incredible worth when compared to the time and expense that other tools necessitate via onboarding and training. Customer support is via live chat and email or by phone between 9-00am- 5-00pm Monday to Friday. Brilliant Pipedrive, 5 stars. 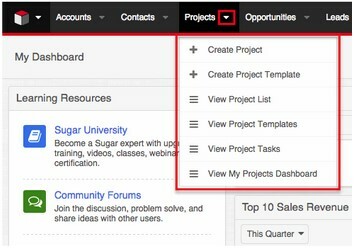 Sugar CRM does present a bit of a learning curve when getting started. However, if you have a good in-house tech team, then this CRM software will offer loads of high-level resources together with unparalleled customization options. It offers spectacular customer service – at all levels!! The support associates are able to answer even the most technical question down to the most basic with equal ease. Shame about the learning curve Sugar, 3 stars. Microsoft Dynamics CRM is fairly difficult to use and does present a steep learning curve. Support options may vary depending on what version of the Dynamics CRM is being run and whether the online or premise version is being used. Not very Dynamic Microsoft, 2 stars. Because SalesforceIQ is structured in a fairly straightforward manner, it is fairly easy to use, however learning the error triggers and workflows is a bit tricky. Support is available online where you will be connected to an expert. Not the best Salesforce, 2 stars. Insightly is quite overwhelming as the interface is more along the lines of a huge control panel. Just finding out the locations of the settings takes loads of clicks…and hope!!. Email support is offered from 10am-6pm EST, Monday to Friday, as well as a community-sourced Q & A together with a comprehensive online knowledge base. Not perfect, but not bad, 3 stars. Maximizer is quick and simple to learn, use, maintain and deploy. It is available on a monthly subscription which includes support via email, phone and through an online knowledge base. Not a bad effort Maximizer, 3 stars. 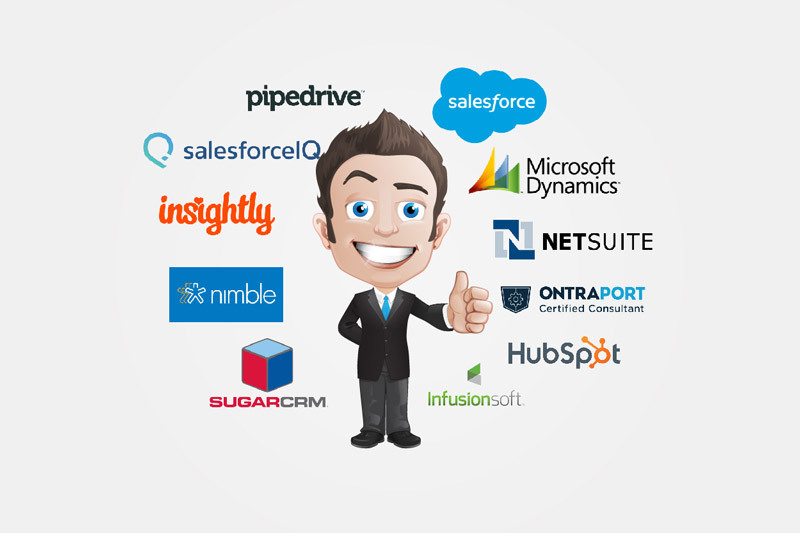 Nimble is easy to use (as far as CRM’s go!!) and its web-based interface is attractive and clean. Support is offered via email and phone (between 9am-5pm, Monday to Friday) and also includes a support community. Good try Nimble, 3 stars. 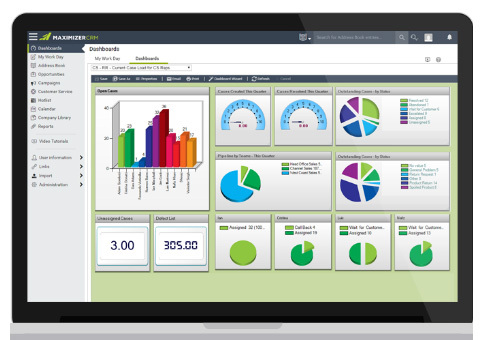 You can navigate through Netsuite’s intuitive dashboard without getting confused and lost, as its interface is clean and easy to understand. Most areas of NetSuite are easy to navigate, but there were some processes that were difficult to understand. The support that is available is varied and generally good, however, after this was moved offshore, it is has taken a downward spiral. Shame about the support NetSuite, 3 stars. In this mobile world that we live in, it is really important to ensure that your CRM software has mobile app functionality. I would recommend taking time to properly evaluate the app, it should be considered a ‘separate’ one and not just as mobile capability, PLUS you shouldn’t have to pay any extra for it!! As I’m sure you are aware, mobile devices are an entirely different entity from notebooks or desktops. Software renders them; differently, employees use them differently which means that business processes that are involved with them behave differently. Be sure to check that the CRM software that you choose does support the mobile device platform that your team uses. Carefully analyze what the app is capable of, for example, some apps will offer a ‘read-only’ view of your contacts or sales pipeline, which means that you can look up your information while on the move, however, these apps won’t allow you to update until you go back to a computer. 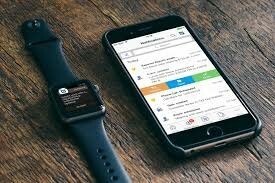 Other CRM’s offer a responsive and seamless experience and allow you to do anything on a mobile that you would do on a computer (bear in mind though, that some features and tools may be displayed differently). Remember, DON’T commit to any CRM software until you have personally used the app in the way that your team would on a daily basis. 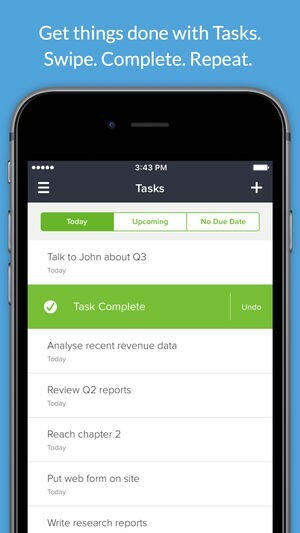 Infusionsoft mobile is really more of an advanced contact organizer rather than a full CRM/Marketing suite, like that of it cloud-based older brother. It helps you to stay in touch with your clients 24/7 as well as track your communication with them. Not a bad effort Infusionsoft, 2 stars. The mobile app is useful when sending quick messages (via email or text) to various groups or for keeping your contacts updated. However, for anything else, I would stick to the desktop version. Little disappointing Ontraport, 3 stars. Salesforce Mobile for Android and iPhone provides basic access to your central Salesforce data all by the use of a touch-friendly interface (the app can run on iPads but wasn’t designed for iPad screen sizes.) Room for improvement Salesforce, 3 stars. 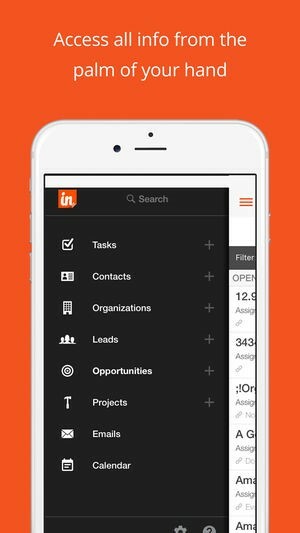 HubSpot certainly provides some amazing features for both iOS and Android users with their mobile app which almost rivals their desktop version!! Fab stuff HubSpot, 4 stars. Pipedrive’s mobile app offered a nice range of features for both iOS and Android users which enabled users to maximize their deals and time, wherever and whenever they wanted. That’s what we like, Pipedrive, 4 stars. 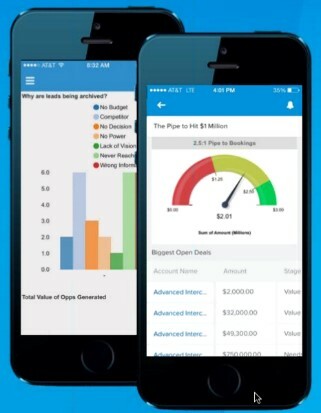 Sugar CRM offers responsive mobile apps for both iOS and smartphones and tablets. Not much else to say Sugar, 3 stars. 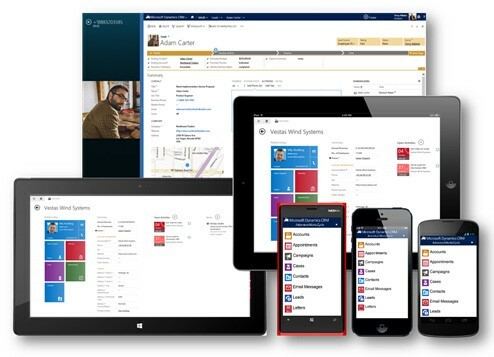 Microsoft Dynamics allows you to access data via mobile services in various ways as well as run the web app on the preferred browser of the device. Not a bad come back Microsoft, 3 stars. Mobile apps are available for both iOS and Android devices together with a Chrome extension for Gmail integration. Nice one SalesforceIQ, 3 stars. 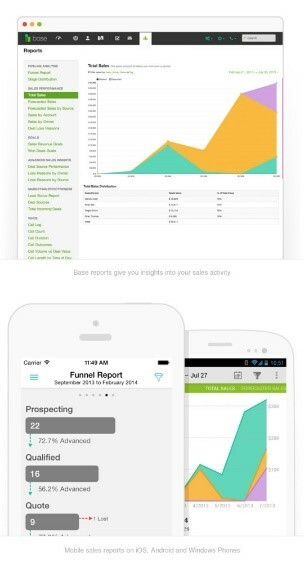 Insightly offers mobile apps for iPad, Android, and iPhones. The apps offer some handy tools; however, the email capabilities are noticeably lacking, as emails can’t be sent and you can’t check if an already sent email has been opened and read by the recipient. On that basis, 2 stars. 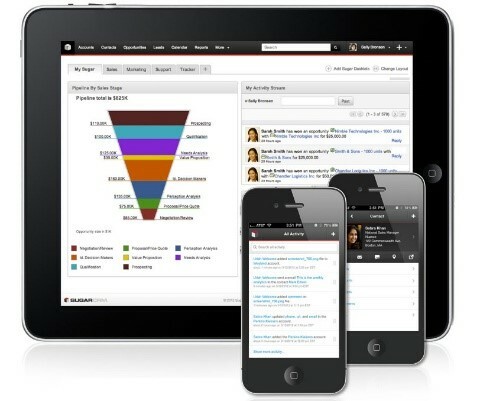 Maximizer does offer mobile apps which allow users to manage their CRM functions on the move, from their smartphones. A really useful feature is the Smart Contacts App, which is an extension which plugs into Safari, Firefox or Chrome and is also available as a mobile app. Nice selection Maximizer. 3 stars. 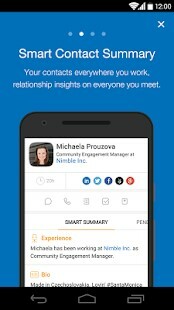 Nimble offers a mobile app for both iPhones and Android, which allows you to manage your contacts on the hoof. Links that are located in a contact card can enable you to easily call, email, add notes and update to anyone within the database. Very Nimble, Nimble!! 3 stars. NetSuite did a perfect job in providing intuitive tools for mobile workforces to enable them to easily and quickly upload any important data while on the move. Perfect NetSuite, 4 stars. I cannot stress the importance of determining which features are included with the CRM software subscription that you choose, and which will require a third-party add-on. Also, you should look at the software that is currently being used to check its compatibility with the CRM that you are considering. In today’s world, integration takes two basic forms. So, let’s begin with the easiest which is if the CRM system which you are trying to connect to supports the other as a ‘native’ integration. What this means is that the company has a built-in integration module which you are able to select, download then implement as required – this is seen with the larger software providers such as NetSuite and Salesforce. Now, the other way is if both of the systems support an open application programming interface (API). With API you are able to get your in-house IT staff or employ an out-of-house contract programmer to create custom integrations. This is probably the most flexible in providing complete customization but can come at a significant cost, depending on how talented your coders are!! Come on, let’s see how our top 12 did…. 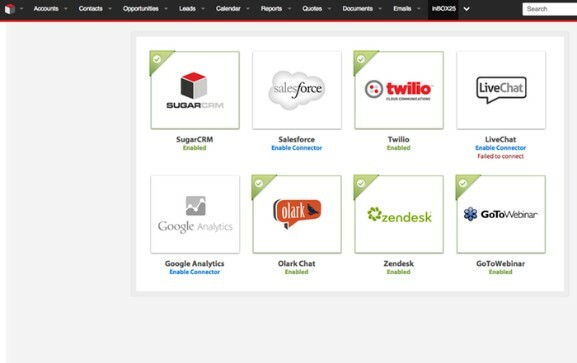 Infusionsoft offers 230 supported and native integrations which help you to master monitoring and managing your business. 3 stars for effort, Infusionsoft. Well, there’s no easy or nice way to say this, but…. There is very limited third-party integration, and it definitely needs to change!! Ontraport offers very limited API integration together with 24 partner integrations. Need to do better Ontraport, 3 stars. Salesforce has a huge Salesforce App marketplace, which means that installing third-party integrations is almost painless! Also, because of the sheer size of the CRM, it is unlikely that your business will ever outgrow Salesforce’s ecosystem. Very good Salesforce, 4 stars. 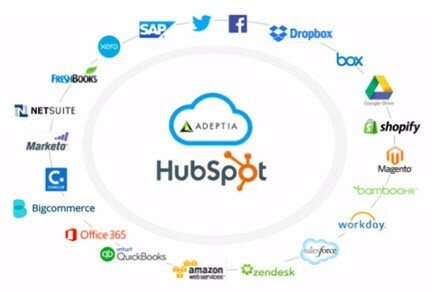 HubSpot is it is one of the Best CRM systems that can be integrated with other applications and software and is the only FREE CRM that offers this level of integration. Nice one (and it’s FREE!!) 5 stars. Although Pipedrive CRM does integrate with numerous big-name productivity tools, compared with the price per user, I would have preferred to have seen more native functionality, as per some of Pipedrive’s competitors. Nearly there, but not quite, 3 stars. Sugar CRM has literally hundreds of approved third-party apps for almost everything, from configuring sales tax to adding surveys. It also integrates beautifully with QuickBooks, Cisco WebEx, Microsoft Office and Sage as well as other popular programmes. Not bad, Sugar, 3 stars. Dynamics Marketplace is very much like Salesforce.com’s app store, in that it offers third-party tools. It doesn’t have built-in integrations with popular software like Zendesk or QuickBooks. If you want to use these tools you will require a third-party connector such as DBsync which is available from the marketplace or alternatively, install your own software API key via Zapier. Not the best I’ve seen, 3 stars. By using the SalesForce Platform, users can create a more engaging employee and customer experience through the use of third-party data integrations. This will allow you to bring disparate systems together to help build a unified view of your customer. The tools are robust and combined with the powerful API; the integration time is dramatically reduced in unlocking and modernizing back-office systems. Not too shabby, SalesforceIQ, 3 stars. Insightly has been designed to integrate with lots of popular applications. Users can connect to online applications including Gmail and Docs, Google Calendar, MailChimp, Outlook 2013, Dropbox, Evernote, Online, QuickBooks to name but a few. Features some popular integrations and for that, I allocate 3 stars. Maximizer offers third-party integrations that users can seamlessly integrate with the other apps that they use such as e-commerce, file management, marketing automation and social media among others. Pretty standard really, 3 stars. Nimble has its own app marketplace, where there are over 40 options for software integration, which include Zendesk, Zoho, Constant Contact, Evernote, HubSpot, and Freshbooks – just to name a few. Very nifty Nimble, 4 stars. 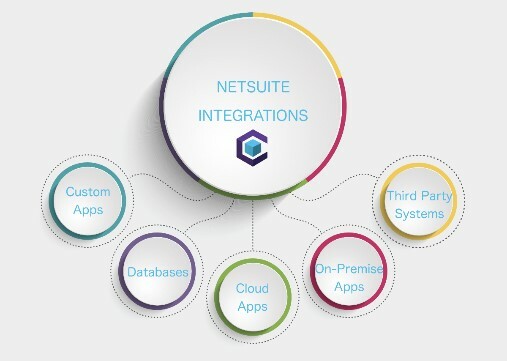 NetSuite does support application integration – and very well too. It can either be done via an application vendor, a client organization or a development partner – as in most cases with NetSuite supported tools. Very nice NetSuite. 4 stars. When you’ve been using your CRM software to manage your deals and leads, you will want to see how successful you have been and even where things could do with improvement. When choosing a CRM, you should look for one that includes customizable reporting features. This will enable you to see what type of customers are responding and how your employees are performing. I would also recommend looking for a tool that gives you the capability to export reports so that if required, you are able to present easily. 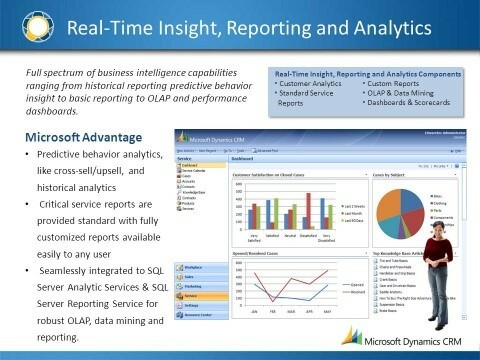 Why not take the native integration or API and plug it into your business intelligence (BI) tool? Why? Well, because BI can turn a humdrum PDF file or CSV into dashboards and live visualizations. This allows you and your sales team (and anyone else with access to the CRM data) to stay up to date on sales statistics, product popularity, demographic information, and other metrics. 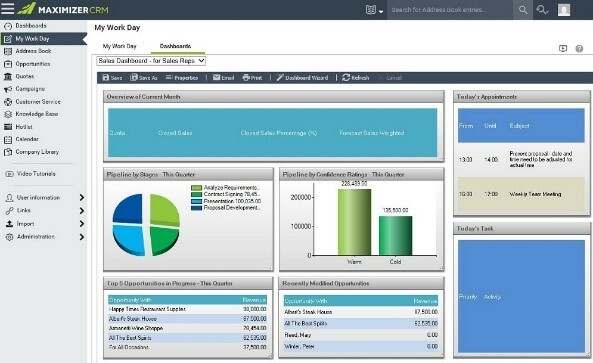 Today’s BI tools allow you to grab and mix data from your business from more than one source, for example, the CRM database on one side and the supply chain and warehouse on the other, also ask multifaceted questions that consider multiple data sources which are then able to provide new insights – which isn’t possible from one data source. Let’s dive in and see how our top 12 did…. Infusionsoft offers very powerful reporting functionality, and for quick glance stats, there is an available widget which you can add to your dashboard called ‘Box-O-Stats.’ Lovely jubbly, Infusionsoft 4 stars. Ontraport does offer rather basic reporting features, however, split testing capacity comes as standard which makes up for it. Does the job, 4 stars. Salesforce Einstein Analytics provides comprehensive analytics to all business users. It combines interactive data visualization with machine learning which in turn delivers insights and data-driven applications for all of its business users. All areas appear covered, perfect!! 4 stars. HubSpot has a good range of activity-based reports which cover everything – and all from one screen. Nice and simple, 4 stars. Pipedrive’s Statistics tab is really helpful especially as it can also be linked to the dashboard and the numbers are easy to follow due to the visually aesthetic user interface. I’m liking it, 4 stars. Sugar CRM offers tech-heavy companies the ability to use SQL to query their reports as well as automated template style ones for small businesses. That all areas covered then, 4 stars. Well, there’s certainly nothing to complain about here! 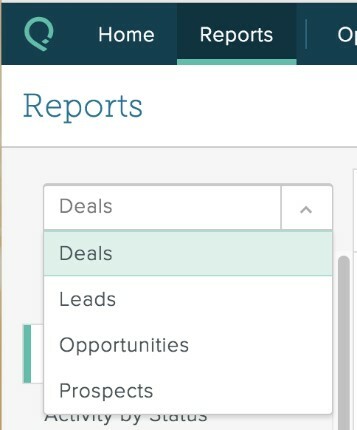 The Report Wizard will take you step by step through the process and ask you to only select the records that interest you, then define the filters and choose the columns for the report. Excellent, Microsoft Dynamics, 4 stars. 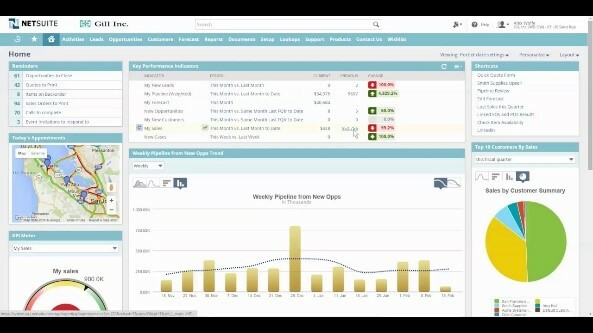 SalesForceIQ offers pipeline visualization, forecasting, and customizable reports. No surprises here, then, 3 stars. 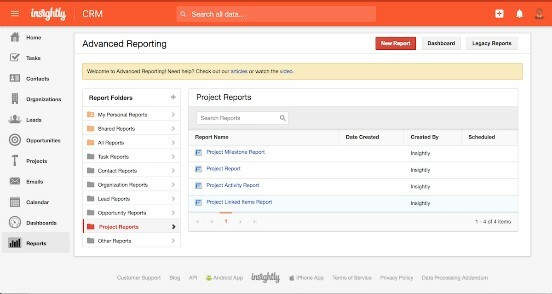 Insightly generates its reports based on organization, user, pipeline stage, and user amongst other things. 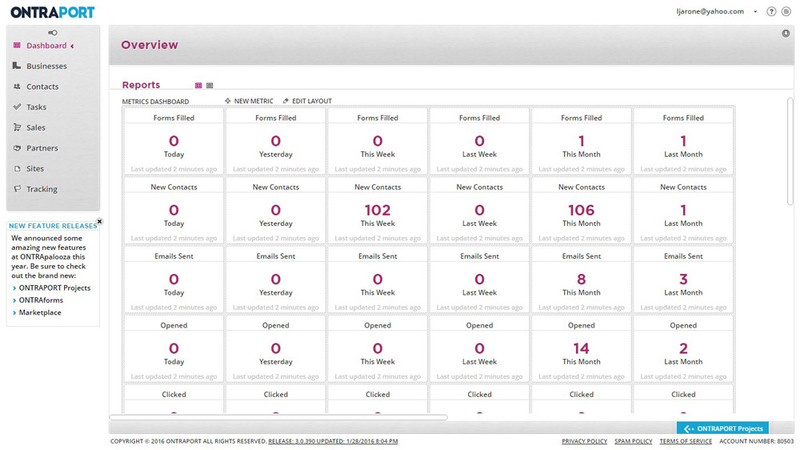 The dashboard provides real-time information through the task dashboard and opportunity reports. Definitely worth a look, 3 stars. Maximizer offers powerful reports and dashboards, and you can personalize your view of the key indicators and have the capability to spot any oncoming trends at a glance. Custom reports can be easily generated as in-depth as required. Maximum respect, Maximizer, 4 stars. 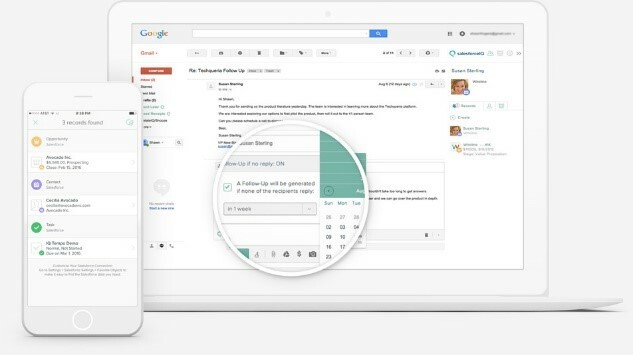 Nimble has added tracking, notifications, email templates and analytics right into their users Gmail inbox to help track individual messages that have been sent and to help users stay informed on their key sales prospects. With their detailed analytics, users can view the number of times that a contact has opened a message or even clicked on a hyperlink. Not bad going Nimble, 3 stars. 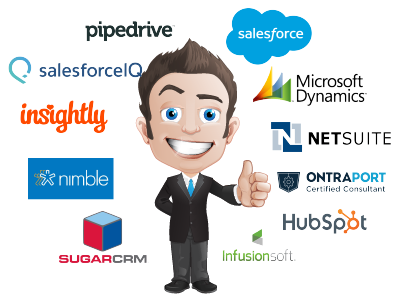 So, now I’ve covered the 12 Best CRM Software ‘must haves,’ hopefully, you will now have a better overview of who is on the ball and who’s ball has rolled away. But, how do these top 12 compare on our checklist criteria? The results do help to paint a clearer picture, but the most important factor is what Shopping Cart Software is the best for YOU and your BUSINESS? Well, there is still one huge feature that could have an enormous impact on your decision….PRICE !! Some users see keeping the costs low as their priority and therefore opt for a lower priced tool that still ticks all the right boxes. Others, however, see their priority as ensuring that they have access to the best possible tools to get the job done – whatever the price. If you’re on a tight budget or simply like saving money, then don’t worry; there is CRM software for you… and that is….Pipedrive. Pipedrive is aimed at smaller organizations and doesn’t put too much stress on the purse strings. What it does present, is a rock-solid solution for small to medium sized businesses which are looking to implement a basic CRM that includes all the necessary features in a no-frills package. 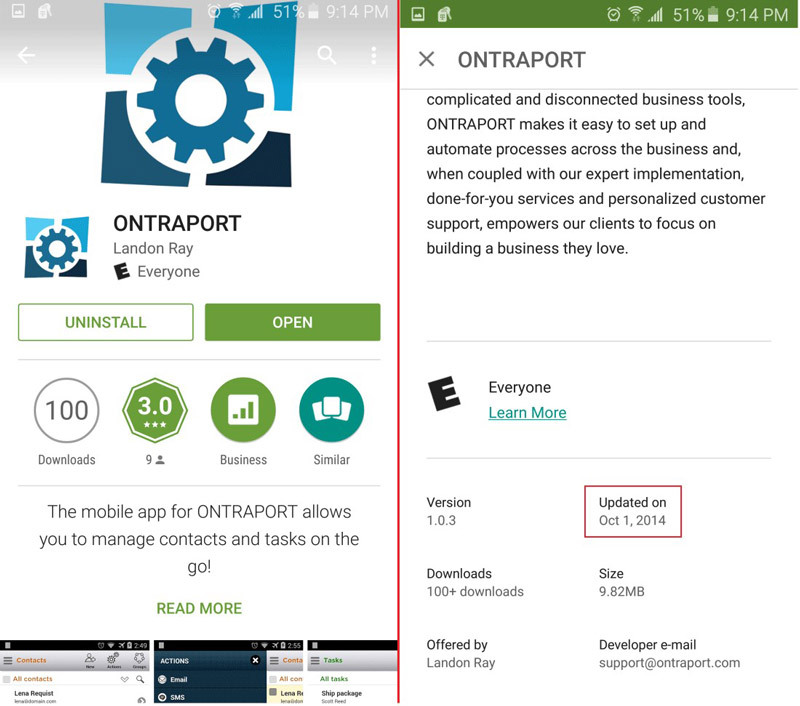 The Best CRM for small businesses is….Ontraport!! Ontraport is a well-kept secret to marketing and business automation. It doesn’t have set-up fees, and the monthly cost comes in at less than 1/10 of some of its competitors. It is designed with smaller businesses in mind, so it’s unsurprising that it is the go-to choice for a quite a large number of well-known coaches and bloggers and is where online training companies have been flocking to. HubSpot was designed with the larger enterprises in mind. It has a large, powerful system which is simply too feature heavy and pricey for the junior markets or ‘Mum and Dad’ businesses. HubSpot fills a really important gap in the marketing automation industry. It’s a tool that invites you in and scales as you grow omitting no feature from the spec sheet. 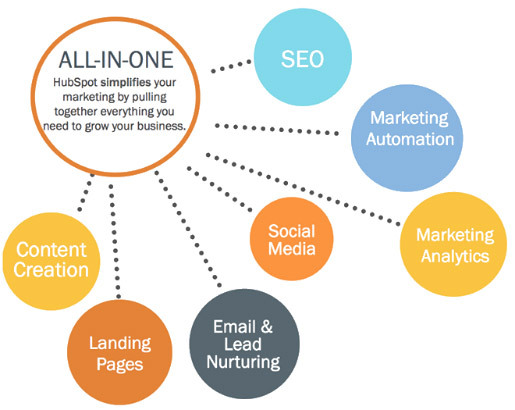 HubSpot allows you to add sales tools and CRM to your current marketing automation software – and at NO EXTRA COST!! Now that I have compared the various CRM software’s based on various factors, I will conclude with a brief summary of each. Remember, there are full reviews available, and these are merely ‘mini’ ones that reflect the findings from the roundup post together with my own analysis. Who Our Winner Is For The Best CRM Software Tool. Find Out Who The Winner is! Infusionsoft started out in life as a marketing automation system but has come a long way since 2001. After receiving funding of $54 million from Goldman Sachs in 2013, it has developed into a powerful marketing Business client relationship management (CRM) platform for small businesses (SME’s), with over 25,000 customers. 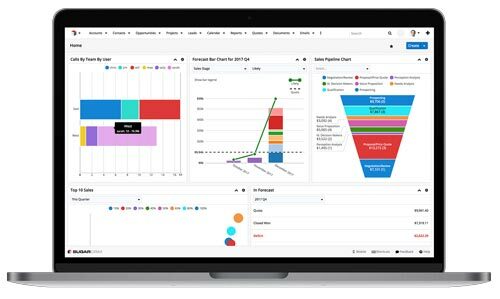 The core of Infusionsoft is their campaign builder, you can automate ANYTHING, marketing, sales pipelines to business processes and procedures plus everything can be measured. Although the platform can look a little pricey when you look what is included it is exceptionally good value for money. Runs perfectly while I’m sleeping…. ​Can manage my sales team including remote sales agent. ​Automatically follows up with personalized marketing content that improves sales and impresses your customers. ​Provide includes value and shows goodwill for consumers and employees. Outsourced Infusionsoft experts are expensive to hire. There are so many features that it can appear overwhelming. Ontraport is an all-in-one innovative business automation platform and CRM system which was founded by Landon Ray in 2006, in Santa Barbara, California. Features include membership site, business & marketing automation, affiliate management, direct-mail printing, payment processing, and much more. Its software is similar to Infusionsoft in that it offers visual automated email marketing and reporting. It includes some great new features. There are limitations of emails that are sent. Fairly expensive for small businesses. Once set up is complete, support is limited. Salesforce CRM is one of the longest running and most popular choices out there for large businesses. This does not mean though, that it is right for everyone. Salesforce has been in the market, for more than two years now, and own a 25% share. Mind you, making it into the top 10% market share is hard enough, especially with all the competition out there. Salesforce really has a strong foothold against many vendors when it comes to the market share of CRMs. Although trends have been static, what with the many emerging CRMs, excluding the old ones that have come out stronger because of their multiple upgrades and adaptations with emerging consumer needs and wants. The cost of this CRM varies quite considerably to others that I have reviewed, so be sure you understand what you are signing up for and that it will benefit your business…if you aren’t clear, why not read our review where we go into more detail (click here for review). 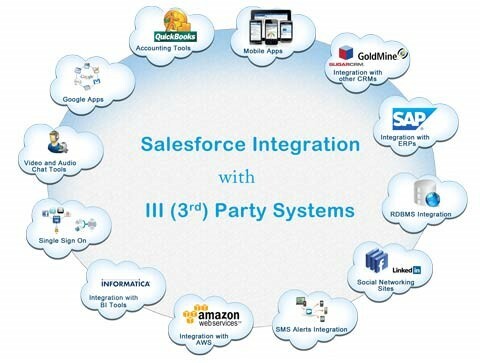 Integration with 300+ 3rd party integrations. HubSpot was created by Brian Halligan and Sharmesh Shah at the Massachusetts Institute of Technology (MIT) in June 2006. It was founded based on the principle that ‘traditional’ marketing was broken and that the tools that existed to enable the transition into inbound marketing were far too complex and disjointed. HubSpot CRM is a Customer Relationship Management software that is designed for sales teams that want to build and improve their existing sales workflow. Ideal for business owners that want the benefit of running their business with a CRM. HubSpot allows businesses to gain an appreciation of a CRM’s capabilities and learn its full potential. This can especially benefit those who have been using other CRM software but do not know how to maximize its potential for their business. Want to know the best part though? Well, HubSpot is FREE and SIMPLE…!! Integrates well with other software. Has the ability to link to other sales processes. Some of the processes are complicated. Can be difficult if using more than one domain. Not so good for B2C. Pipedrive was founded by Timo Rein, Urmas Purde, Ragnar Sass, Martin Tajur and Martin Henk way back in June 2010. It is a cloud-based sales software company that has offices in Tartu, Tallinn, New York, Portugal and the United Kingdom. Pipedrive is cloud-based, which means owners can access the application anytime, anywhere, even on their mobile and tablet gadgets! It is also a great tool for your sales team, fit for sales personnel that need to see sales pipelines. The Pipedrive can show the progress of each deal, with a complete view of all details such as pending items and tasks. Aside from that, it can provide reports for custom sales, showing individual and/or team goals. 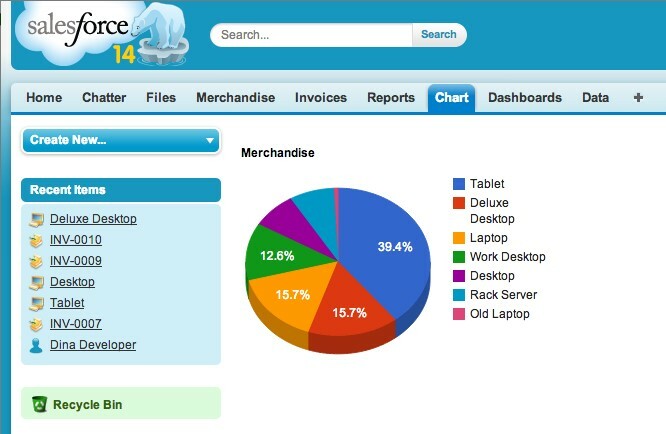 The reports are also useful for displaying the results of all analyzed sales data. The app is so user-friendly and fully mobile optimized and can easily be integrated with both Google and 3rd party apps. Great tracking and reporting features. Limitations of usability with third-party software. SugarCRM is classed as one of the leading customer management systems available on today’s market and serves over 50,000 companies that are seeking accurate account management for all their sales related tasks. The Sugar CRM platform is designed with medium to large enterprises in mind which is why they need to focus on creating a devoted administration team to enhance its performance and move it in the right direction. API and functionality are impressive. Report capabilities and file retention are good. The Studio – when it works! UI is slow – needs faster response times. Case management tools are lacking and dated. Microsoft Dynamics CRM was developed by Microsoft and is a customer relationship management software package. 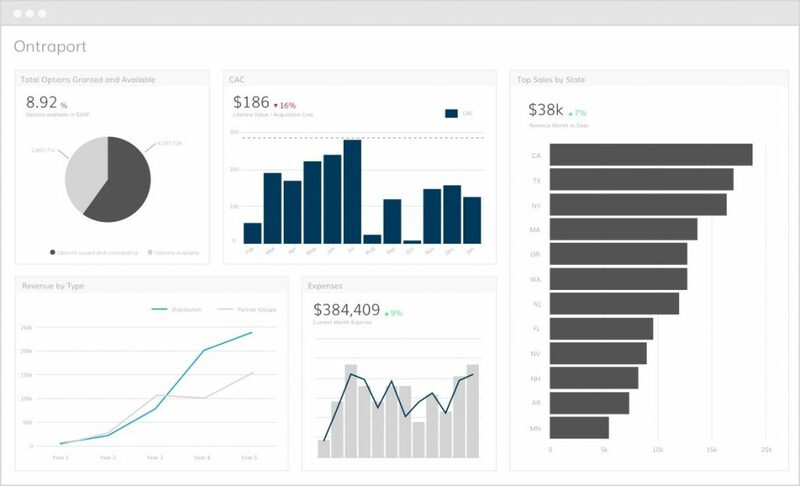 Its main focus is on Marketing, Sales and Service (help desk) sectors, however, Microsoft has also been marketing Dynamics CRM as a CRM platform and encouraging partners to use its proprietary (.NET based) framework for customization. Dynamics CRM and like Microsoft SharePoint is a server-client application, which is primarily an IIS-based web application and also supports extensive web services interfaces. Users are able to access Microsoft Dynamics CRM by either via the browser or by a thick client plug-in to Microsoft Outlook. Customizations are easy to create and manage. The mobile version offers lots of integration options. Reasonably priced – compared with other CRM’s. If more users or features are added, then the price can quickly increase. System performance can be a little on the slow side. SalesforceIQ is a subsidiary of Salesforce.com and is an American enterprise software company which is based in Palo Alto, California. The company’s software comprises of a relationship intelligence platform that combines data from smartphone calls, email data, and appointments in order to augment or replace standard relationship management tools or database solutions. It can scan approximately 10,000 calendar entries, emails and other data points per minute at first run. Not bad eh? Integrates well with all Social Media. Good report and contact organization and curation. Reporting tools need aren’t perfect. The price – can be expensive. 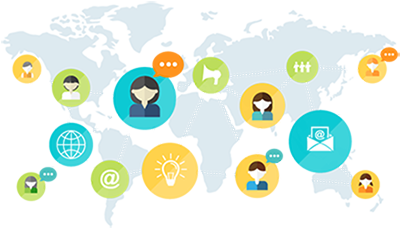 Insightly CRM offers solid lead management and customer relationship management and is aimed towards small and medium-sized businesses. Its user interface is easy to learn and is focused on organizing incoming sales and customer data so that it can be recalled both inside the Insightly app as well as be fed to other apps within the portfolio. You may not need to integrate it with your project management tool as Insightly has a whole range of features regarding tracking and task management – they have even extended into the realms of ‘mobile’ for both iPhone users and Android users. Website and apps are easy to use. Includes email tracking and templates. Google integration needs more work. Maximizer CRM is an integrated CRM solution which is suitable for any size organization across a variety of industries. This solution can be installed both on-premise and in the cloud. 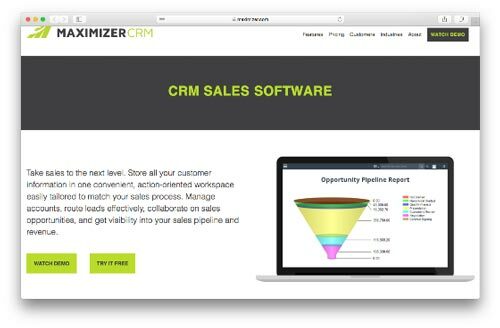 Maximizer CRM includes features such as sales management, customer service and support, marketing automation and business productivity tools and integrates with Microsoft products like Outlook, Excel, Word, and SharePoint. Included in the solution’s marketing automation application is integrated campaign planning, marketing analytics, and email campaigns. Users are able to target customers and leads and utilize the list management capabilities in order to search and then filter the customer data by pre-defined criteria. The software has many features – almost too many. Handles B2B and B2C with ease. Some of the software is too complex and overloaded with features. No integrated quoting/part configurator programme. Unable to sort UDF’s or search for specific things. Nimble blends the strengths of classic contact management, traditional CRM, sales intelligence, social media, and marketing automation into a powerful relationship management platform which then delivers relationship insights wherever you are working. It enables you to find prospects email and contact details in seconds! It gives the capability to scan business cards, add contacts, track email open rates, send templates and much more from mobiles. Nimble CRM will help you to turn customer relationships into revenue! Excellent integration with Google Apps and Office 365. Import functionality is easy to use. Easy to use pipeline features. 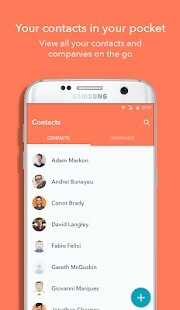 Smart Contacts App is included which makes adding contacts from the web to Nimble quick and easy. Some key functionalities are missing from the entry-level plan including reporting and sales pipelines. No API support for LinkedIn and Facebook. Time lag between a message arriving in the Gmail inbox and displaying in Nimble. Most integrations with other apps require the use of a ‘sync’ tool. Tax fare mostly unusable outside of Nimble (due to the way that they are exported). Using Email when in Nimble is difficult as folders can’t be accessed or mail moved into them. The accuracy of pricing reports. Add-on products can be quite costly. There it is, our definitive review of all the aspects you should look for when choosing the right CRM software, to ensure that your business goes from zero to hero status. What’s your number 1 take away or maybe you’ve got a question. 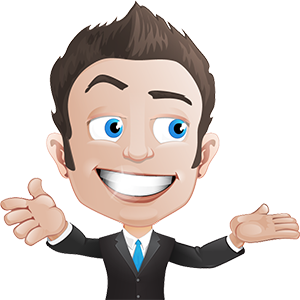 Have you been party to the best CRM software that we have reviewed, and if so, what can you share with us? Either way, I would love to hear from you, and will be personally responding to all comments.